You can change the apprearance of your house using Lemon Cloud window film at a low cost. 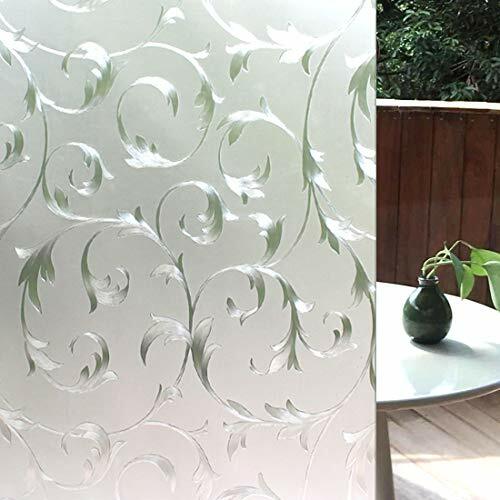 It changes your window into lively patterns and you will enjoy a magical kaleidoscopic view when the sun shines in! It¡¯s so easy to make that magic happen.However,You don¡¯t want your film which is heated by the sun everyday to contain any glue.So the glue-free design is essential.The force of static sticks the film to the glass, so there will be no residue after removal and the film is totally reusable. Our window film is also capable of blocking out 96% of UV rays,keep your furniture away from the damage of sun lights. ANTI-UV WINDOW FOIL: 96% of UV Rays Resistance.Also help to keep warm in winter and block out heat in summer. PRIVATE PROTECT:Prevent others from seeing through your windows,perfectly protect your privacy.